Status：Approved, 2013-09-20 JAPAN, Japan PMDA. Cetilistat was approved by Pharmaceuticals Medical Devices Agency of Japan (PMDA) on September 20, 2013. It was developed by Norgine and Takeda, then marketed as Oblean® by Takeda in Japan. Cetilistat is a pancreatic lipase inhibitor, and it acts in the same way as the older drug orlistat (Xenical) by inhibiting pancreatic lipase, an enzyme that breaks down triglycerides in the intestine. Without this enzyme, triglycerides from the diet are prevented from being hydrolyzed into absorbable free fatty acids and are excreted undigested. It is usually used for the treatment of obesity (limited to patients with both type 2 diabetes mellitus and dyslipidemia, and with a BMI≥25 kg/m2 in spite of dietary treatment and/or exercise therapy). Oblean® is available as tablet for oral use, containing 120 mg of free Cetilistat. The recommended dose is 120 mg three times a day immediately after each meal. Cetilistat is a drug designed to treat obesity. It acts in the same way as the older drug orlistat (Xenical) by inhibitingpancreatic lipase, an enzyme that breaks down triglycerides in the intestine. Without this enzyme, triglycerides from the diet are prevented from being hydrolyzed into absorbable free fatty acids and are excreted undigested. Central obesity have an important impact on the development of risk factors for coronary heart disease, including dislipidemia, glucose intolerance, insulin resistance and hypertension. These factors contribute to building cardiovascular (CV) disease as a major cause of death. The approach to obesity therapy should be designed to reduce CV risk and mortality. Diet and lifestyle changes remain the cornerstones of therapy for obesity, but the resultant weight loss is often small and long-term success is uncommon and disappointing. Drug therapy is considered for individuals with a body mass index greater than 30 kg/m2 or ranging from 25 to 30 kg/m2 if they have comorbid conditions. Antiobesity agents can be helpful to some patients in achieving and maintaining meaningful weight loss, but yet our pharmaceutical tools are of limited effectiveness considering the magnitude of the problem. At the present, only two drugs, orlistat and sibutramine, are approved for long-term treatment of obesity and promote no more than 5 to 10% of weight loss. Rimonabant, a cannabinoid-1 receptor antagonist, was withdrawn from the market because of concerns about its safety, including risk of suicidal and seizures, although very effective in promoting clinically meaningful weight loss, reduction in waist circumference, and improvements in several metabolic risk factors, rimonabant, a cannabinoid-1 receptor antagonist was withdrawn from the market because it concerns about its safety, including risk of suicidal and seizures. Fortunately, recent fundamental insights into the neuroendocrine mechanisms regulating body weight provide an expanding list of molecular targets for novel, rationally designed antiobesity drugs. In this review, the therapeutic potential of some antiobesity molecules in the development will be analyzed based on an understanding of energy homeostasis. Bryson, A.; Hickling, R. I. Obesity 2010, 18, 108. WO0040569A1 / US6656934B2.2. WO0040247A1 / US6624161B2. are suitable intermediates for active pharmaceutical ingredients. from the originally published version of WO-A 00/40569. 2-Hexadecyloxy-6-methyl-4H-3,1-benzoxazin-4-one of the formula (3) is described therein as potential active ingredient for the treatment of obesity and type II diabetes. In this originally published version of WO-A 00/40569, two synthetic routes 1 and 2 are described for preparing 2-hexadecyloxy-6-methyl-4H-3,1-benzoxazin-4-one (3), each of which starts from the 5-methyl-substituted anthranilic acid (4). In the two-stage synthetic route 1, the 5-methyl-substituted anthranilic acid (4) is reacted with hexadecyl chloroformate (5) and subsequently with methyl chloroformate to give 2-hexadecyloxy-6-methyl-4H-3,1-benzoxazin-4-one (3), although the overall yield obtained is only 31%. The one-stage synthetic route 2 with an excess of pyridine affords 2-hexadecyl-oxy-6-methyl-4H-3,1-benzoxazin-4-one (3) in an even lower yield of 15%. The starting compound which is required for both the synthetic routes 1 and 2, the 5-methyl-substituted anthranilic acid (4), is not easily obtainable, however. It is prepared by the method described in J. Org. Chem. 1952, 17, 141. This starts from p-toluidine, which is reacted with chloral hydrate and hydroxylamine hydrochloride. The resulting oxime is cyclized with acid catalysis, and subsequently the ring is cleaved again by oxidation under basic conditions. The disadvantages of this synthesis are the low yields and the fact that only very low concentrations can be used. For this reason, this synthetic route is unattractive for an industrial reaction. J. Org. Chem. 1978, 43, 220 and Chem. Ber. 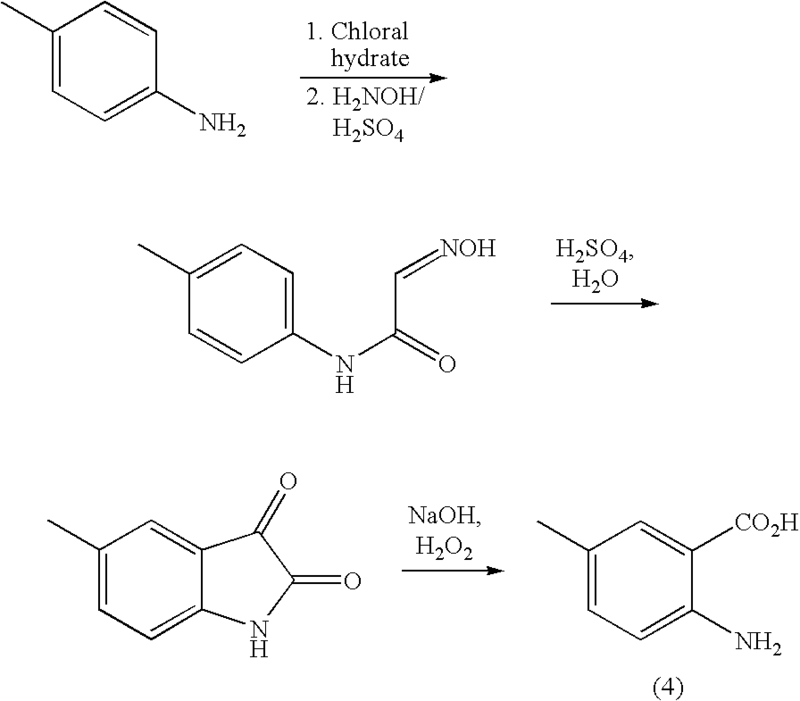 1909, 42, 430 disclose initial nitration of 3-cyanotoluene, then reduction of the nitro group and subsequent hydrolysis of the nitrile to the carboxylic acid. 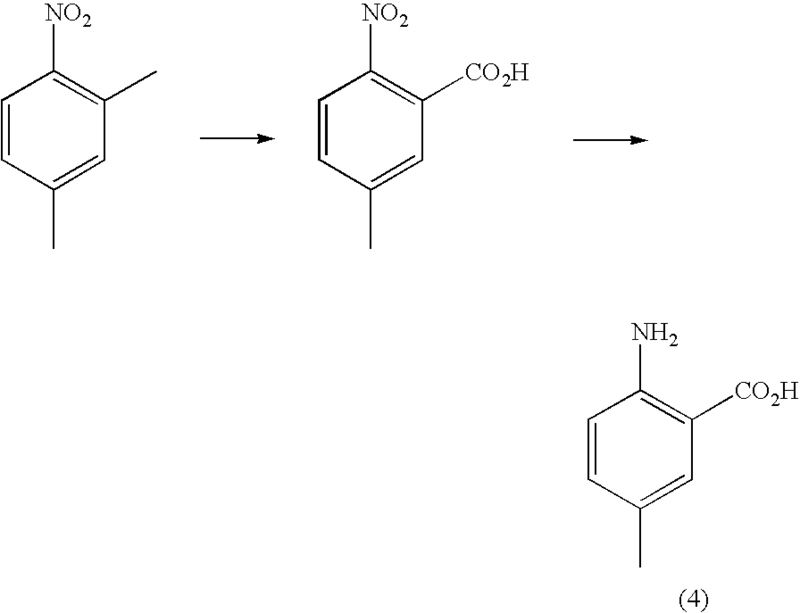 A disadvantage of this synthesis is that the nitration of 3-cyanotoluene does not proceed selectively and therefore a further purification step is necessary. This requires additional effort and reduces the yield. 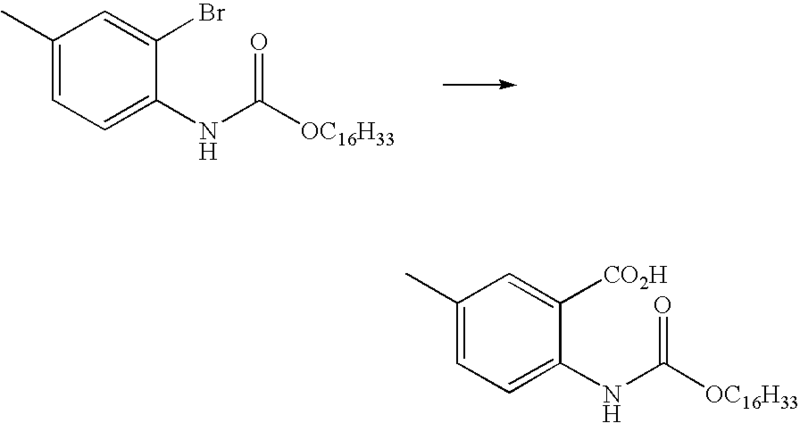 The synthesis which is described in J. Chem. Soc. Perkin I, 1973, 2940 and which starts from 3-toluic acid with subsequent nitration and reduction of the nitro group also has the same disadvantage. 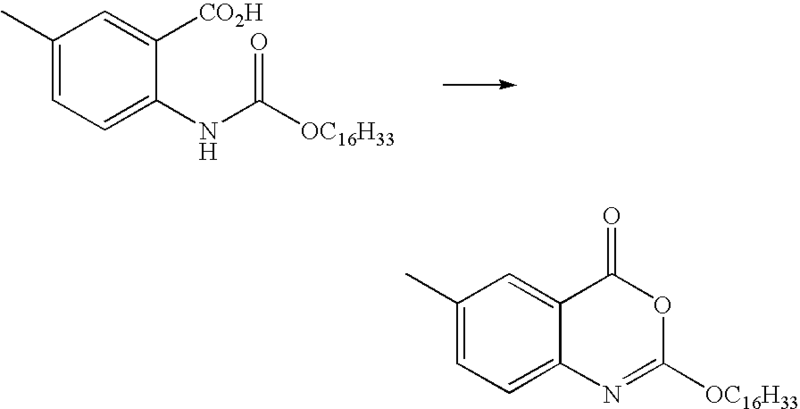 The synthesis which is disclosed in Monatsh. Chem. 1920, 41, 155 and starts from 2,4-dimethyl-1-nitrobenzene is likewise unsuitable because oxidation of the methyl group next to the nitro group does not proceed selectively and therefore an elaborate separation of isomers is necessary. 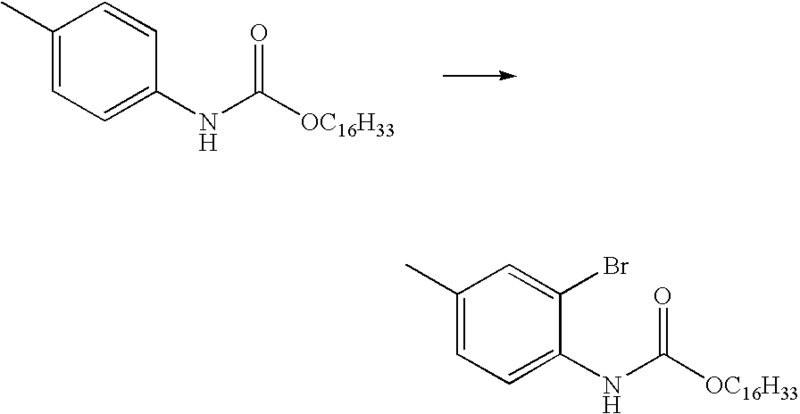 EP-A 0 034 292 describes this reaction sequence of acetylation (a), halogenation (b), carbonylation (c) and subsequent elimination of the acetyl group (d) as affording the optionally substituted anthranilic acids in good yields (>80%). However, the introduction of the acetyl group is a disadvantage. This is necessary because the free anilines give only poor yields in transition metal-catalysed carbonylation reactions because of pronounced complexation [J. Org. Chem. 1981, 46, 4614-4617]. WO-A 97/28118 discloses a comparable process. Because of the diverse difficulties, described above, associated with the known processes for preparing optionally substituted anthranilic acids and the yields, which are only unsatisfactory and thus limiting for the overall process, of the subsequent synthetic routes 1 and 2, the object of the present invention was to provide an improved process for preparing carbamic ester derivatives of the general formula (1). 91 g (375 mmol) of 1-hexadecanol were added to a solution of 50 g (375 mmol) of p-tolyl isocyanate in 50 ml of toluene, and the resulting solution was heated under reflux for 8 h. After cooling to room temperature and stirring at this temperature for 12 h, the precipitated solid was filtered off. The colourless solid was washed twice with 10 ml of toluene each time and then dried in vacuo. 80 g (213 mmol, 57%) of the desired carbamate were obtained in the form of a colourless solid with a melting point of 75° C. The melting point agreed with literature data (75-76° C., Microchem J. 1962, 6, 179). 1H-NMR (CDCl3, 400 MHz): δ=0.88 ppm (t, J=7.3 Hz, 3H), 1.25-1.40 (m, 26 H), 1.66 (sext, J=6.9 Hz, 2H), 2.30 (s, 3H), 4.14 (t, J=6.9 Hz, 2H), 6.53 (br, 1 H), 7.10 (d, J=7.8 Hz, 2H), 7.25 (d, J=8.3 Hz, 2H). Elemental Analysis Showed: Calculated: C 76.8%, H 11.0%, N 3.7% Found: C 76.9%, H 11.2%, N 3.7%. 19 g (119 mmol) of bromine were added dropwise to a solution of 45 g (119 mmol) of the carbamate in 225 ml (235 g) of glacial acetic acid at room temperature over the course of 1 h, and then the resulting solution was stirred at room temperature for 1 h. After addition of a further 25 ml (26 g, 437 mmol) of glacial acetic acid, the reaction mixture was stirred at 40° C. for 5 h and then cooled to room temperature. The precipitated solid was filtered off and washed with 20 ml of glacial acetic acid. Drying in vacuo resulted in 40 g (88 mmol, 74%) of the desired bromo compound in the form of a colourless solid with a melting point of 57° C.
1H-NMR (CDCl3, 400 MHz): δ=0.93 ppm (t, J=6.6 Hz, 3H), 1.25-1.43 (m, 26 H), 1.73 (sext, J=6.8 Hz, 2H), 2.33 (s, 3H), 4.21 (t, J=6.7 Hz, 2H), 7.04 (br, 1H), 7.14 (d, J=8.4 Hz, 1H), 7.37 (s, 1H), 8.02 (d, J=8.3 Hz, 1H). 13C-NMR (CDCl3, 100 MHz): δ=14.2 ppm, 20.4, 22.7. 25.9, 29.0, 29.3, 29.4, 29.6 (2C), 29.7 (2C), 29.8 (4C), 32.0, 65.7, 112.5, 120.3, 129.0, 132.5, 133.5, 134.1, 153.5. Elemental Analysis Showed: Calculated: C 63.4%, H 8.9%, N 3.1% Found: C 63.6%, H 8.9%, N 3.1%. 217.5 g (478.5 mmol) of hexadecyl (2-bromo-4-methylphenyl)carbamate, 0.5 g (0.7 mmol) of bis(triphenylphosphine)palladium dichloride and 2.5 g (9.3 mmol) of triphenylphosphine were introduced into an autoclave. The autoclave was closed, flushed with nitrogen and an oxygen-free solution of 78.1 g (565.3 mmol) of potassium carbonate in 400 ml of water is added. The autoclave is evacuated and then 2 bar of carbon monoxide are injected and heated to 115° C. The pressure is subsequently adjusted to 8 bar. After CO uptake ceases, the mixture is cooled to RT and 200 ml of toluene are added. The pH is adjusted to 2 with 2M aqueous HCl solution, and the organic phase is separated off. The aqueous phase is extracted anew with 100 ml of toluene, the organic phase is separated off, and the two toluene extracts are combined. Removal of the solvent in vacuo results in 154.9 g (369.2 mmol, 77%) of 2-hexadecyloxycarbonylamino-5-methylbenzoic acid in the form of a pale yellow-coloured solid. 1H-NMR (CDCl3, 400 MHz): δ=0.88 ppm (t, J=6.7 Hz, 3H), 1.24-1.40 (m, 26 H), 1.70 (sext, J=6.8 Hz, 2H), 2.33 (s, 3H), 4.17 (t, J=6.8 Hz, 2H), 7.38 (d, J=8.7 Hz, 1H), 7.90 (s, 1H), 8.35 (d, J=8.6 Hz, 1H). Signal of the NH proton not identifiable.13C-NMR (CDCl3, 100 MHz): δ=14.1 ppm, 20.5, 22.7. 25.9, 29.0, 29.3, 29.4, 29.6 (2 C), 29.7 (6 C), 32.0, 65.5, 113.6, 119.0, 131.1, 131.8, 136.3, 140.1, 153.9, 172.5. 4.0 g (10.0 mmol) of 2-hexadecyloxycarbonylamino-5-methylbenzoic acid are introduced into 20 ml of pyridine at 0° C. under a nitrogen atmosphere, and 4.93 g (45.4 mmol) of ethyl chloroformate are added dropwise to the resulting solution at 0° C. over the course of 20 min. After the reaction mixture has been stirred at 0° C. for 1 h and at room temperature for 2 h it is added to 30 ml of ice-water. The solid is filtered off and dried in vacuo. 3.3 g (8.2 mmol, 82%) of 2-hexadecyloxy-6-methyl-4H-3,1-benzoxazin-4-one are obtained in the form of a pale yellow coloured solid with a melting point of 67° C. (literature: 72-73° C., WO 00/40569). 1H-NMR (CDCl3, 400 MHz): δ=0.86 ppm (t, J=6.6 Hz, 3H), 1.24-1.42 (m, 26 H), 1.75-1.82 (m, 2H), 2.40 (s, 3H), 4.41 (t, J=6.8 Hz, 2H), 7.30 (d, J=8.3 Hz, 1H), 7.51 (dd, J=8.2, 1.9 Hz, 1H), 7.90 (d, J=0.9 Hz, 1H). 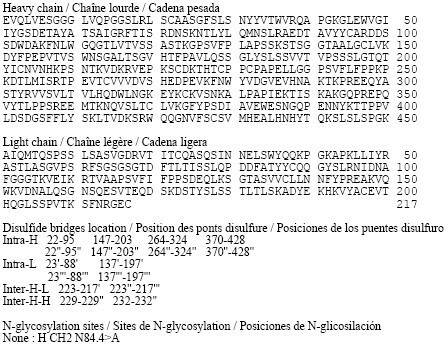 The 1H-NMR data agree with the literature data from WO-A 00/40569. West Division for the benefit of his synthesis and intermediates have been described in U.S. Patent US2007232825 and US2003027821, domestic literature orlistat no cetirizine synthesis of relevant reports. Patent US2003027821 W toluene different acid vinegar as raw material to produce amino acid vinegar intermediate chloroformate, cetyl alcohol and vinegar reaction, after the desert generation essays glycosylation chloroformate caprolactone ring closure to give cetirizine orlistat. This method requires a great deal of glacial acetic acid, the presence of H waste discharge more harsh reaction conditions, equipment requirements, is not conducive to industrial production and other defects. The following combination of embodiments of the present invention will be further described below. 4. 9g H phosgene will be added to 50 blood dichloromethane firing, the temperature was lowered to OC, a solution of 2-amino-5 Desert benzoic acid methyl ester (5g) and H hexylamine (13.8 blood) dichloro A firing (20 blood) solution, the addition was complete OC to maintain 15min, warmed to room temperature the reaction mix of football. The 5. 26g cetyl alcohol was added to the reaction solution at room temperature the reaction of. After completion of the reaction, filtered and the filtrate was concentrated in vacuo spin dry, dry methanol residue fight starched coating, filtration, the filter cake is dried to constant weight. To give a white solid powder 9. Ig, namely 2- (sixteen essays firing oxygen-ylamino) -5-benzoic acid methyl ester desert; Yield; 85%. Under nitrogen blanket IOg 2- (sixteen grilled oxygen essays) -5- desert benzoic acid methyl ester was dissolved in 1,4-dioxane (50mL) and water Qiao blood), and Ilg anhydrous carbonate Bell, 1.44g methacrylic acid test, 0. 731g Pd (dppf) 2Cl2, the mixture at 105C for 3 hours. Completion of the reaction, cool down, filtered and the filtrate spin dry, the residue of anhydrous methanol wash coating, the filter cake dried to give a gray solid 6. 5g, is 2- (xvi grilled oxygen essays) -5-methyl benzoic acid methyl ester in 75% yield. The 7g 2- (sixteen grilled oxygen essays) -5-methyl-benzoic acid methyl ester was added to 35mL tetraammine clever furans and 7mL water mixture, adding ammonia oxidation in 20. Ig, 6 (TC reaction of the reaction is completed, the reaction mixture was concentrated, the residue was added 70mL of ice water, 6M hydrochloric suppression of 7, the filter cake was dried to constant weight to give a gray solid 6. 2g, namely 2- (sixteen firing oxygen-ylamino essays ) -5-methyl-benzoic acid, yield 92%. The 66g 2- (XVI essays firing oxo-ylamino) -5-methylbenzoic acid in 330mL of information coincidence floating in an ice bath, was slowly added dropwise 45mL chloroformate caprolactone, after the addition was complete, naturally rise to room temperature The reaction of. After completion of the reaction, the reaction solution was poured into 700mL ice water, filtered, and the filter cake was dried to constant weight to give a gray solid 56g, that is, sixteen firing-6-methyl-2- -4H-3, 1- benzo Lai ah winded -4- (cetirizine orlistat), a yield of 85%. 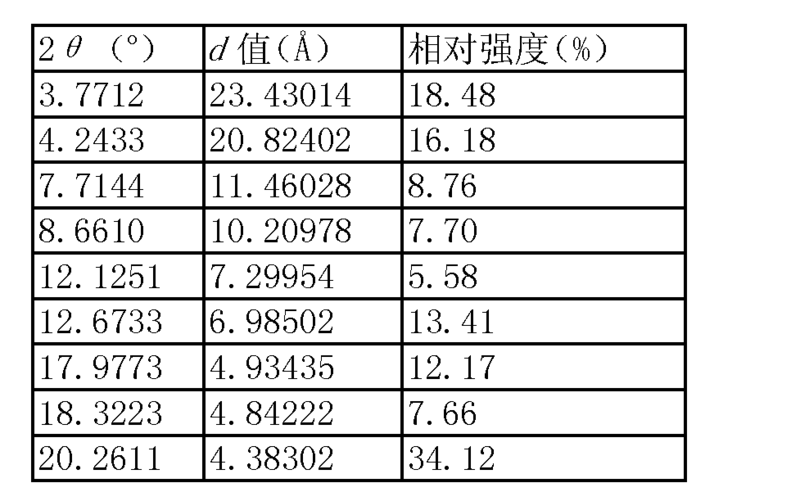 Mass spectrum shown in Figure 2, ESI-MS〇b / z): 402 [M + Tin +; X- ray diffraction as shown in (3 consistent with the data reported in FIG patent US2012101090), analyzed as shown in Table 1, Figure 1 FIG. 2 W and W Table 1 confirm that the product was obtained as cetirizine orlistat. 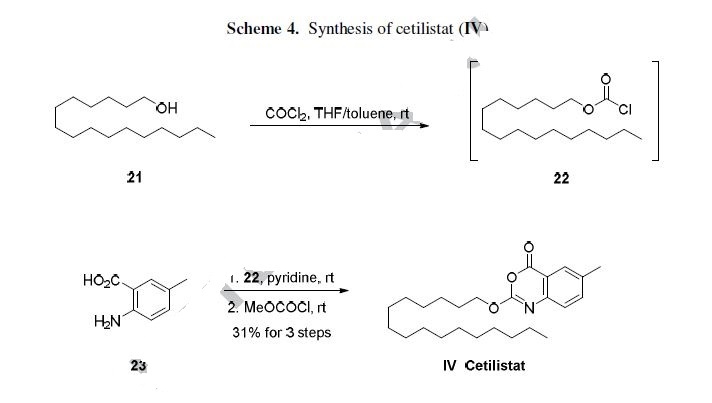 Cetilistat was synthesized from 2-amino-5-methylbenzoic acid and cetyl chloroformate via acylation to give 2-[[(hexadecyloxy)carbonyl]amino]-5-methylbenzoic acid, which was subjected to intramolecular dehydrationcyclization in the presence of POCl3 with an overall yield of 90％ and purity over 99％. This one-pot method was simple and suitable for large-scale application. Cetilistat [2-(Hexadecyloxy)-6-methyl-4H-3,1-benzoxazin-4-one] is a novel highly lipophilic benzoxazinone that inhibits gastrointestinal (GI) and pancreatic lipases, and is chemically distinct from Orlistat . Pancreatic lipase is the enzyme that breaks down triglycerides in the intestine. Inhibition of this enzyme ensures that triglycerides from the diet are prevented from being hydrolyzed into absorbable free fatty acids and are excreted undigested. In Phase I clinical trials in healthy volunteers, Cetilistat increased faecal fat excretion and was well tolerated. Cetilistat produced a clinically and statistically significant weight loss in obese patients in this short-term 12-week study. This was accompanied by significant improvements in other obesity-related parameters. Cetilistat treatment was well tolerated. The risk-benefit demonstrated in this study in terms of weight loss vs intolerable GI adverse effects shows that Cetilistat merits further evaluation for the pharmacotherapy of obesity and related disorders. The NDA submission is based on the results of three Phase 3 clinical trials in obese patients with type 2 diabetes and dyslipidemia: a 52-week placebo-controlled, double-blind study to evaluate the efficacy and safety, and two open-label studies to evaluate safety, 24-week and 52-week respectively. The results of the 52-week placebo-controlled, double-blind study demonstrate that Cetilistat 120mg three times daily is superior to placebo in the primary endpoint, with a mean reduction in body weight from baseline of -2.776% with Cetilistat versus -1.103% with placebo (p=0.0020). Greater reduction in HbA1c and low-density lipoprotein cholesterol were also observed in patients treated with Cetilistat, compared to placebo. In all these three studies, Cetilistat showed a good safety profile and was well tolerated. Cetilistat was approved in Japan in September 2013 for the treatment of obesity. Cetilistat (Tradename: Oblean) is approved for a dosage of 120 mg three times a day for the treatment of obesity with complications. 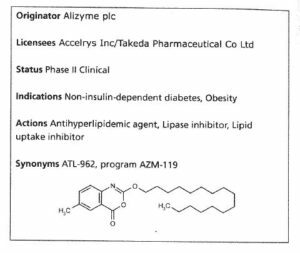 The drug was discovered by UK based Alizyme PLC and in 2003 Takeda acquired the rights for development and commercialisation for Japan. Norgine acquired all rights to the product from Alizyme in October 2009 . US20030027821A1: It appears to be the industrial process. The yields are in the range of 30-35%. Experimental: 1H-NMR δH (400 MHz, CDCl3) 0.87 (3H, t, J 6.8, CH2CH3), 1.24-1.45 (26H, m, 13×CH2), 1.75-1.83 (2H, m, OCH2CH2), 2.41 (3H, s, ArCH3), 4.41 (2H, t, J 6.7, OCH2), 7.3 (1H, d, J 8.3, ArH), 7.51 (1H, dd, J 8.5, 2.0, ArH), 7.90 (1H, d, J 1.1, ArH); m/z (ES+) 402 (MH+); M Pt. 72-73° C.
Sideeffects: The most frequently experienced adverse events were those involving the gastrointestinal (GI) tract. The proportion of patients and the total number of GI adverse events reported in each of the active treatment groups were higher compared to the placebo group. However, GI adverse events were predominantly mild to moderate in intensity, with no evidence of a dose relationship. The most frequently reported GI-related adverse events included increased defecation, soft stools, abdominal pain, flatulence and fatty/oily stool, which were all reported more frequently in the treatment arms compared to the placebo arm. Faecal incontinence, flatus with discharge, oily evacuation and oily spotting occurred in only 1.8-2.8% of subjects in the active treatment arms and was not dose-related. Adverse events generally occurred on only one occasion and resolved rapidly. 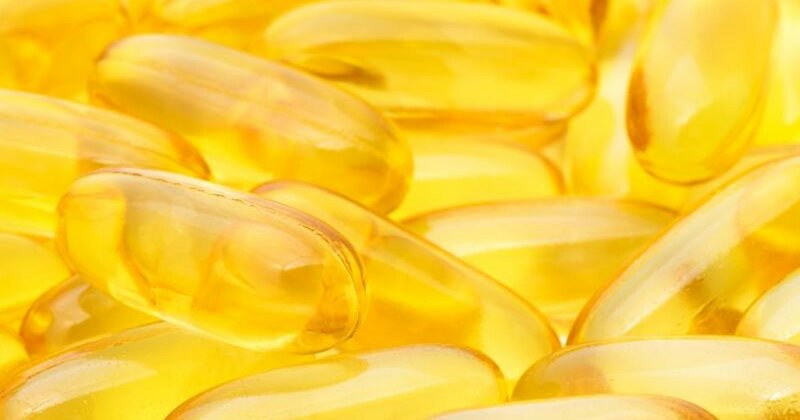 Serum vitamin D, vitamin E and β-carotene levels were decreased significantly in the Cetilistat treatment arms. Generally, these reductions in vitamin levels did not take the levels outside the normal range and none required the use of vitamin supplements. Kopelman, P.; et. al. Cetilistat (ATL-962), a novel lipase inhibitor: a 12-week randomized, placebo-controlled study of weight reduction in obese patients. Int J Obes (Lond) 2007, 31(3), 494-499. 1 Chem. Ber. 1909, 42, 430. 2 J. Chem. Soc. Perkin I, 1973, 2940; Peter H. Gore et al. Friedel-Crafts Reactions, Part XXV.<SUP>1 </SUP>Acetylation and Benzoylation of Iodobenzene and of o-, m-, and p- Iodotoluenes. 3 J. Org. Chem. 1952, 17, 141 B. R. Baker et al. ; “An Antimalarial Alkaloid From Hydrangea, XIV, Synthesis of 5- ,6-,7-, and 8-Monosubstituted Derivatives“. 4 J. Org. Chem. 1978, vol. 43, No. 2, 220 T.H. Fisher et al. ; “Kinetic Study of the N-Bromosuccin-imide Bromination of Some 4-Substituted 3-Cyanotoluenes“. 5 J. Org. Chem. 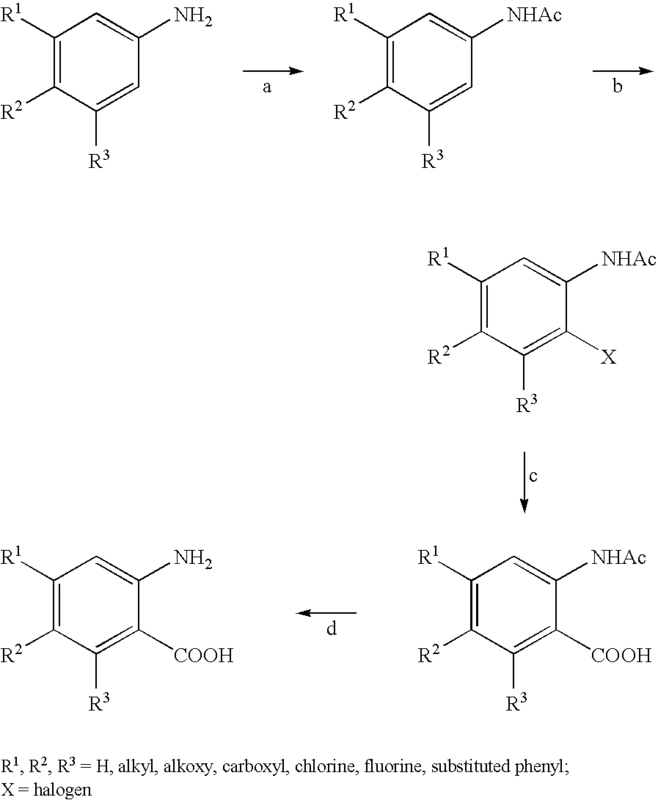 1981, 46, 4614-4617 Donald Valentine, Jr. et al; “Practical, Catalytic Synthesis of Anthranilic Acids“. 6 Monatsch. Chem. 1920, 41, 155. 7 Thomas G. Back et al. : “Conjugate Additions of o-Iodoanilines and Methyl Anthranilates to Acetylenic Sulfones. 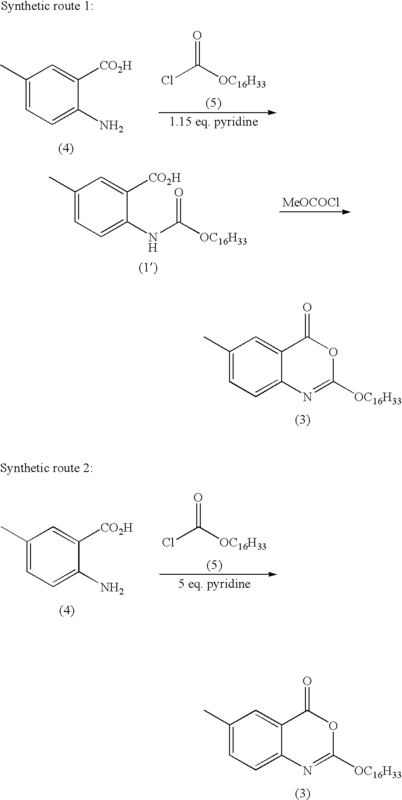 A New Route to Quinolones Including First Syntheses of Two Alkaloids from the Medical Herb Ruta chalepensis” Journal of Organic Chemistry., Bd. 68, 2003, Seiten 2223-2233, XP002371555 USAmerican Chemical Society, Easton. Seite 2227, Spalte 1, Reaktionsschema 4 und Spalte 2, Zeile 8-Zeile 9; Seite 2231, Spalte 2, Zeile 43-Zeile 54. 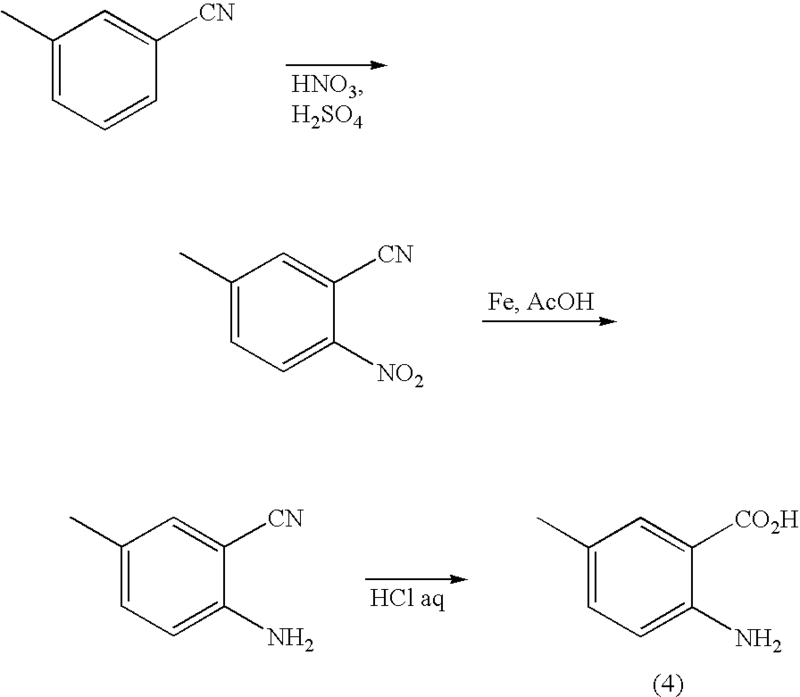 8 * Yadav et al., New Journal of Chemistry (2000), 24(8), 571-573. Yamada Y, Kato T, Ogino H, Ashina S, Kato K (2008). “Cetilistat (ATL-962), a novel pancreatic lipase inhibitor, ameliorates body weight gain and improves lipid profiles in rats”. Hormone and Metabolic Research. 40 (8): 539–43. doi:10.1055/s-2008-1076699. PMID 18500680. Kopelman, P; Bryson, A; Hickling, R; Rissanen, A; Rossner, S; Toubro, S; Valensi, P (2007). “Cetilistat (ATL-962), a novel lipase inhibitor: A 12-week randomized, placebo-controlled study of weight reduction in obese patients”. International journal of obesity (2005). 31 (3): 494–9. doi:10.1038/sj.ijo.0803446. PMID 16953261. Padwal, R (2008). “Cetilistat, a new lipase inhibitor for the treatment of obesity”. Current opinion in investigational drugs (London, England : 2000). 9 (4): 414–21. 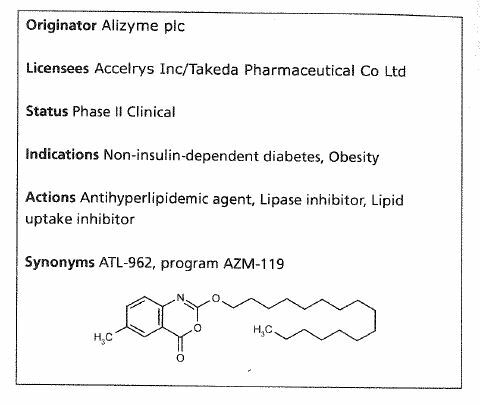 PMID 18393108.
http://www.alizyme.com/alizyme/products/cetilistat/ Archived January 7, 2009, at the Wayback Machine. “Weight loss, HbA1c reduction, and tolerability of cetilistat in a randomized, placebo-controlled phase 2 trial in obese diabetics: comparison with orlistat (Xenical).”. Obesity. 18: 108–15. Jan 2010. doi:10.1038/oby.2009.155. PMID 19461584. By DR ANTHONY MELVIN CRASTO Ph.D in JAPAN 2013 on October 26, 2016 .